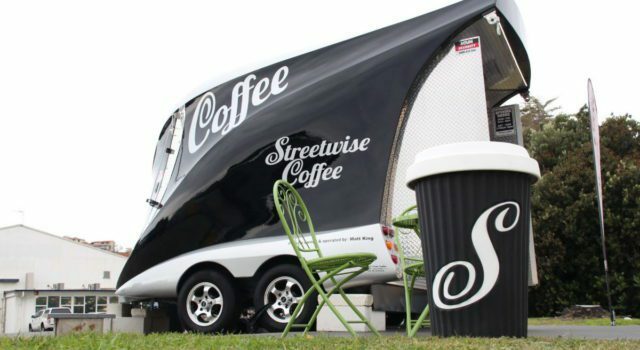 Today coffee cart franchise Streetwise Coffee issued a challenge to the coffee cart industry around New Zealand to join them in investing in the circular economy and changing the disposable coffee cup culture, where over 200 million cups are sent to landfills every year. The coffee franchise is the first in Australia and New Zealand to make Detpak RecycleMe cups standard across all 22 cart locations, providing an alternative to problematic compostable or single use takeaway coffee cups. “We’re staring down the barrel of an environmental crisis – people understand that we need to recycle, but few businesses are offering consumers transparency when it comes to recycling”. RecycleMe will allow coffee cups across the country to be collected and recycled into copy paper, something that is difficult to do with standard compostable or paper takeaway cups. “Standard paper takeaway cups feature a lining that cannot be removed easily during the recycling process – meaning that a lot of what we try to recycle actually just ends up in the landfill. RecycleMe cups will begin to be available at all Streetwise Coffee carts from today with recycle stations available for cups and lids at each site.